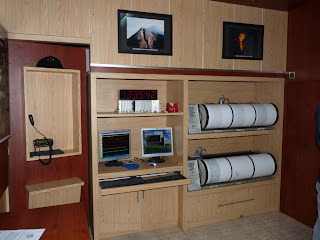 Mount Merapi is the site of a very active volcano monitoring program. Seismic monitoring began in 1924, with some of the volcano monitoring stations lasting until the present. 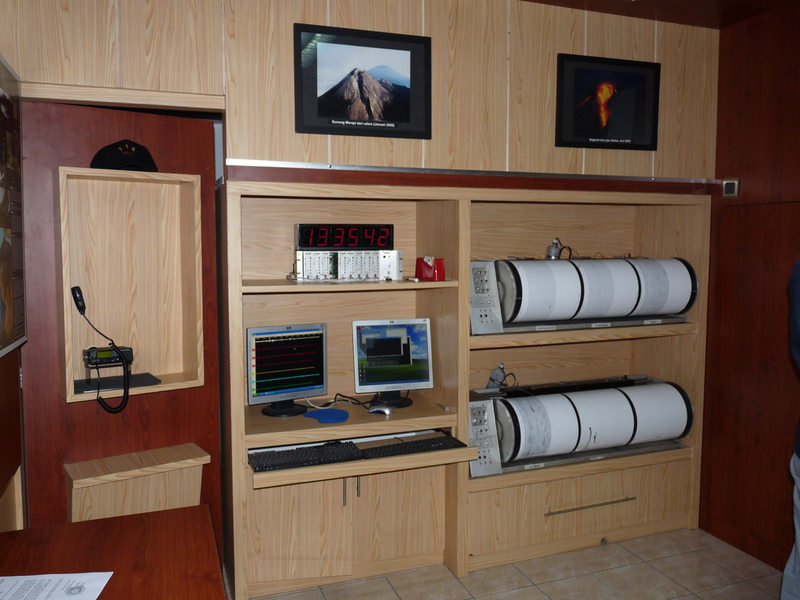 The Babadan (northwest location), Selo (in the saddle between Merbabu and Merapi), and Plawangan monitoring stations have been updated with equipment over the decades since establishment. During the 1950s and early 1960s some of the stations were starved of equipment and funds, but after the 1970s considerable improvement occurred with the supply of new equipment. Some of the pre-1930 observation posts were destroyed by the 1930 eruption, and newer posts were re-located. Similarly after the 1994 eruption, the Plawangan post and equipment were moved into Kaliurang as a response to the threat of danger to the volcanological personnel at the higher point. The eruption of 1930 was found to have been preceded by a large earthquake swarm. The network of 8 seismographs currently around the volcano allow volcanologists to accurately pinpoint the hypocentres of tremors and quakes. A zone in which no quakes originate is found about 1.5 km below the summit, and is thought to be the location of the magma reservoir which feeds the eruptions. Other measurements taken on the volcano include magnetic measurements and tilt measurements. Small changes in the local magnetic field have been found to coincide with eruptions, and tilt measurements reveal the inflation of the volcano caused when the magma chambers beneath it is filling up. Lahars (a type of mudflow of pyroclastic material and water) are an important hazard on the mountain, and are caused by rain remobilizing pyroclastic flow deposits. 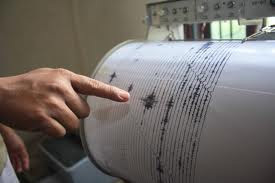 Lahars can be detected seismically, as they cause a high-frequency seismic signal. Observations have found that about 50 mm of rain per hour is the threshold above which lahars are often generated. To keep the volcano quiet and to appease the spirits of the mountain, the Javanese regularly bring offerings on the anniversary of the sultan of Yogyakarta's coronation. For Yogyakarta Sultanate, Merapi holds significant cosmological symbolism, because it is forming a sacred north-south axis line between Merapi peak and Southern Ocean (Indian Ocean). The sacred axis is signified by Merapi peak in the north, the Tugu monument near Yogyakarta main train station, the axis runs along Malioboro street to Northern Alun-alun (square) across Keraton Yogyakarta (sultan palace), Southern Alun-alun, all the way to Bantul and finally reach Samas and Parangkusumo beach on the estuary of Opak river and Southern Ocean. This sacred axis connected the hyangs or spirits of mountain revered since ancient times—often identified as "Mbah Petruk" by Javanese people—The Sultan of Yogyakarta as the leader of the Javanese kingdom, and Nyi Roro Kidul as the queen of the Southern Ocean, the female ocean deity revered by Javanese people and also mythical consort of Javanese kings.